In Part 1 strategies are analyzed for topics such as understanding the fundamentals, satellite play, lower-buy in events, analyzing tells and moving up in stakes. 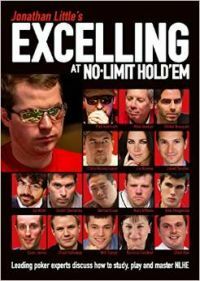 Excelling at No-Limit Hold‘em provides all the tools that an aspiring player needs to understand no-limit hold'em. It is a must buy for anyone who is serious about wanting to improve their poker.